Last week Colorado Parks and Wildlife announced it is accepting original artwork entries for its 2013 Colorado Waterfowl Stamp art contest. This year’s species of focus is the Greater Scaup, a cousin of the Lesser Scaup, which also are more commonly known as bluebills. Artists interested in participating in the contest must submit a 13-inch high by 18-inch wide full color original by 4 p.m. Feb. 1 to Kelly Diehl of the Colorado Wildlife Heritage Foundation, 6060 Broadway, Denver, CO 80216. “We have a relatively large format entry for waterfowl stamps art and that really lets artists be creative with their depiction of the birds we choose each year,” said Brian Sullivan, wetlands program coordinator and organizer of the waterfowl stamp program for Colorado Parks and Wildlife. There is a $50 fee for each entry, and the winner will receive $3,500. There also are smaller cash prizes for second and third place finishers of $1,000 and $500, respectively. Complete contest requirements can be found on the Parks and Wildlife web siteParks and Wildlife web site.. Parks and Wildlife web site. Implemented in 1990, the Colorado Waterfowl Stamp program provides funding to conserve wetlands for waterfowl and wetland-dependent wildlife. Nine years later Parks and Wildlife began the waterfowl art contest, and this is the first time the Greater Scaup will grace the state stamp. 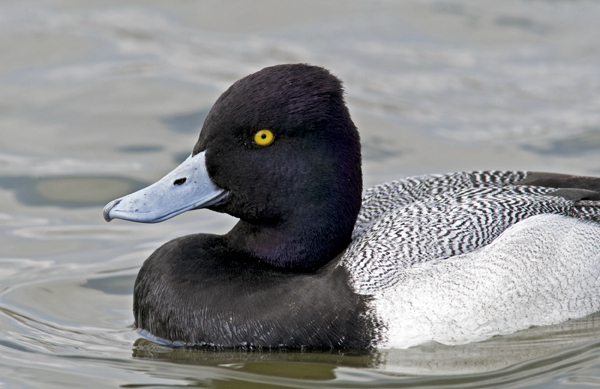 The Greater Scaup is a medium-sized diving duck. It breeds in the boreal forest and tundra of Alaska and Canada, and winters along the Atlantic, Gulf and Pacific coasts. A small number of bluebills migrate through Colorado on their way to the Gulf Coast, a Parks and Wildlife news release stated. Collector gum-backed stamps and art prints of the 2013 waterfowl stamp will be available for purchase about the middle of the year through the Colorado Wildlife Heritage Foundation. Past Colorado Waterfowl Stamp art contests winners can be viewed at www.cwhf.us. 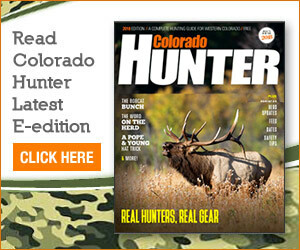 The Colorado Wildlife Heritage Foundation was created in 1989 to help bridge the gap between revenues raised by hunting and fishing licenses, and wildlife conservation needs. Colorado Parks and Wildlife was created by the merger of Colorado State Parks and the Colorado Division of Wildlife. Colorado Parks and Wildlife manages 42 state parks, more than 300 state wildlife areas, all of Colorado’s wildlife, and a variety of recreational opportunities.